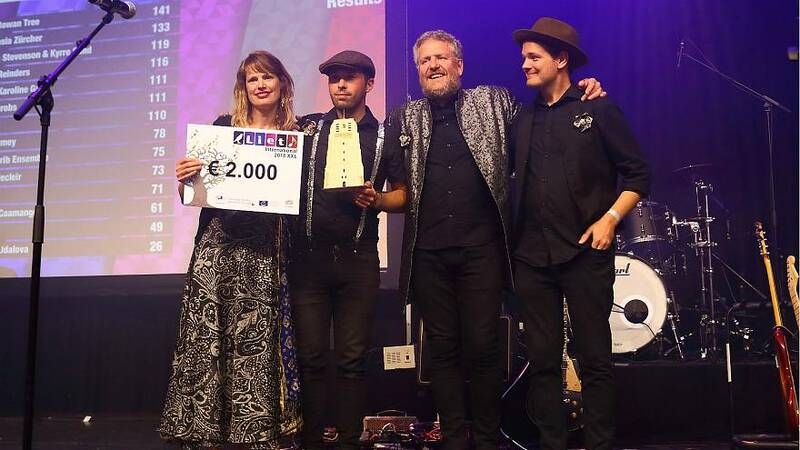 A folk music group from Cornwall, UK, has claimed victory in the Liet International 2018 XXL song contest for regional and minority languages. The Rowan Tree stormed to victory singing in Cornish — a Southwestern Brittonic Celtic language native to Cornwall in south-west England. The foursome tweeted saying the news "had not sunk in". It set up a crowdfunding page to cover travel costs for the festival, which was this year hosted in Leeurwarden-Ljouwert, Netherlands, raising £225 (€256). Tresor, the winning song, "celebrates Cornwall's industrial heritage and the treasures that lie beneath its beautiful landscape," according to the group. Liet International festival was founded in 2002 to give modern bands who sing in a minority language a stage. Organised by the Frisian foundation, it now describes itself as a multilingual alternative of the Eurovision Song Contest. Unlike Eurovision, where contestants can sing in any language they want, entries must be performed in a regional or minority language and English is strictly banned. Some of the languages that have featured in previous years include: Galician (north-western Spain), Frisian (Dutch province of Friesland), Komi (north-eastern, European Russia), Franco-Provençal (east-central France and areas in Italy and Switzerland), Sranan Tongo (Suriname) and Antwerps (Antwerp), among others.